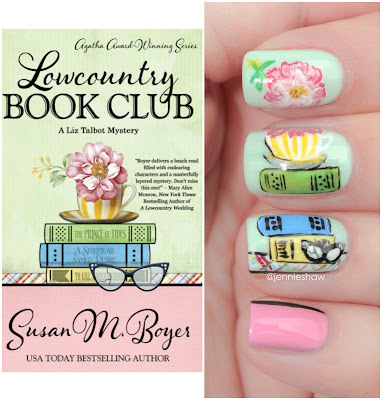 LOWCOUNTRY BOOK CLUB is the fifth book in the Liz Talbot mystery series and totally my favourite (so far)! 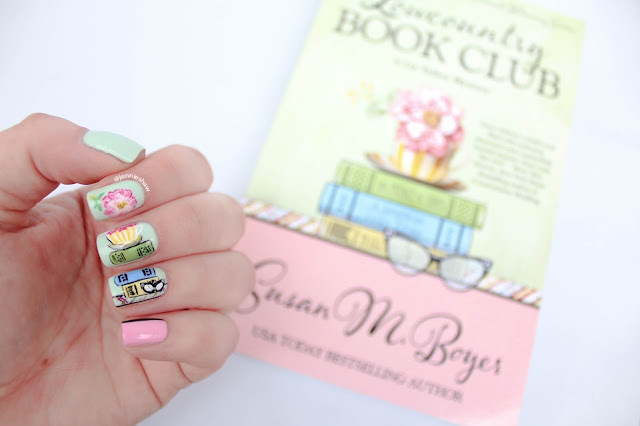 All the delightful things I love about Liz were woven throughout this very twisty tale, and there were a few unexpected bonus pieces of awesomeness, too. Yay for unexpected bonus pieces of awesomeness! Haha! Somebody pushed Shelby Poinsett out her second-floor library window and it wasn’t her husband. At least that what Charleston’s most prestigious law firm wants Liz Talbot to prove. Liz must run the spectrum of Southern society, from the local homeless shelter where Shelby volunteered to the one-hundred-year-old book club where Charleston’s genteel ladies are dying to join, to bring a killer to justice. Liz Talbot is a fantastic character. She believes in the old-school way of investigating and isn’t afraid to throw on a granny wig, fake a limp, and charm information out of someone who’s never the wiser. And in this installment, Liz investigates the members of a long-standing book club, so naturally, I was all about it! Being from the North (like, waaaaaaay north, meaning Canada) I'm moderately obsessed with everything Southern: the accents, colloquialisms, architecture, and of course, the food. Oh em gee, the food! 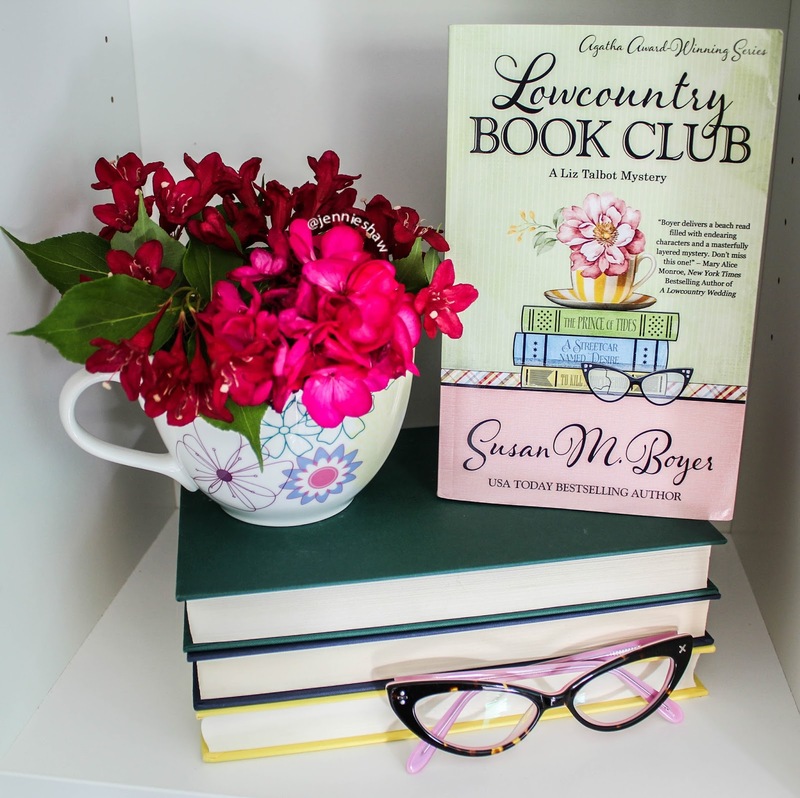 While devouring LOWCOUNTRY BOIL, I learned to not read on an empty stomach because Boyer's knack for food descriptions had my stomach rumbling on more than one occasion, and in LOWCOUNTRY BOOK CLUB, there were too many delectable dishes to count. In fact, she even includes poutine! As previously stated, I’m Canadian, so seeing the fusion of one of my country’s signature dishes with a Southern twist was pretty cool. And Boyer even went so far as to specify that cheese curds were used, instead of shredded cheese (which is basically an insult to poutine #cheesecurdsforlife). But enough about food (mmm...food), because this book is a cozy mystery, which means there was much more than eating going on. Namely, finding out who killed Shelby Poinsett! With few solid leads, Liz and her partner Nate have no choice but to interview everyone who knew her (spoiler alert: Shelby knew about half of Charleston, haha) and that's precicely why I dig this series so much. There's never an obvious guilty party. Sure, there are characters who stand out as suspects, but Boyer's too smart to hand them to you on a silver platter. At one point, I was so sure I knew who killed Shelby that I would've bet this month's book money, but thankfully it wasn't a real bet because otherwise, July would've been a sad, new-book-less month. I wasn't even close! Haha! The usual cast of quirky and endearing characters are all accounted for as well, and one of the unexpected bonus pieces of awesomeness concerns Liz’s brother, Blake. 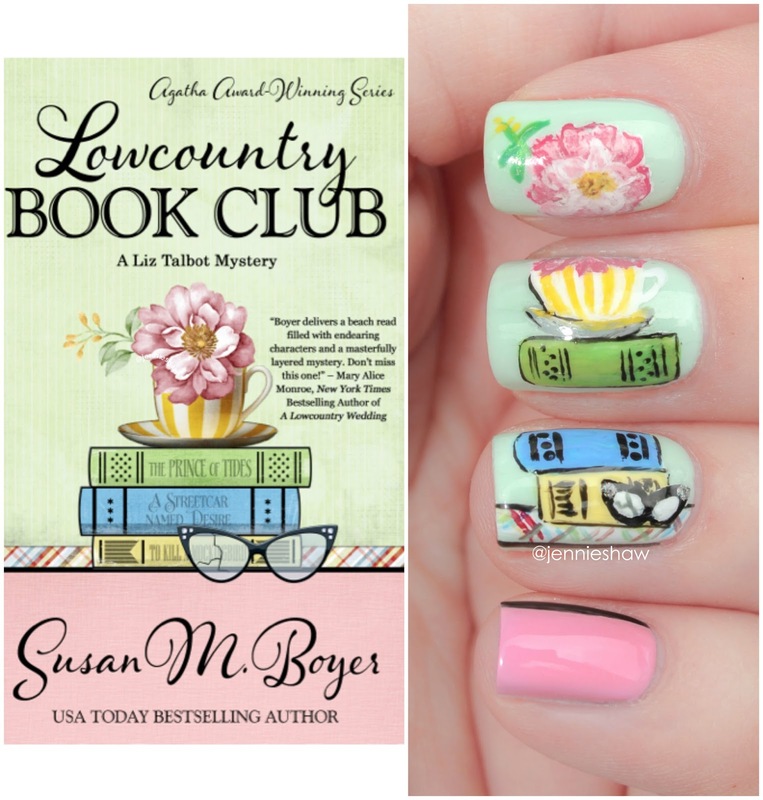 I won’t spoil it, but when you’ve read LOWCOUNTRY BOOK CLUB, can you please message me? I’m dying to talk to someone about it! So if you like mysteries where you’ll be guessing until the very end, told in that wonderfully melodic Southern way, then you should absolutely check out this series! But start from the beginning or you’ll miss out on getting to know these fabulous characters. Trust me on that one.